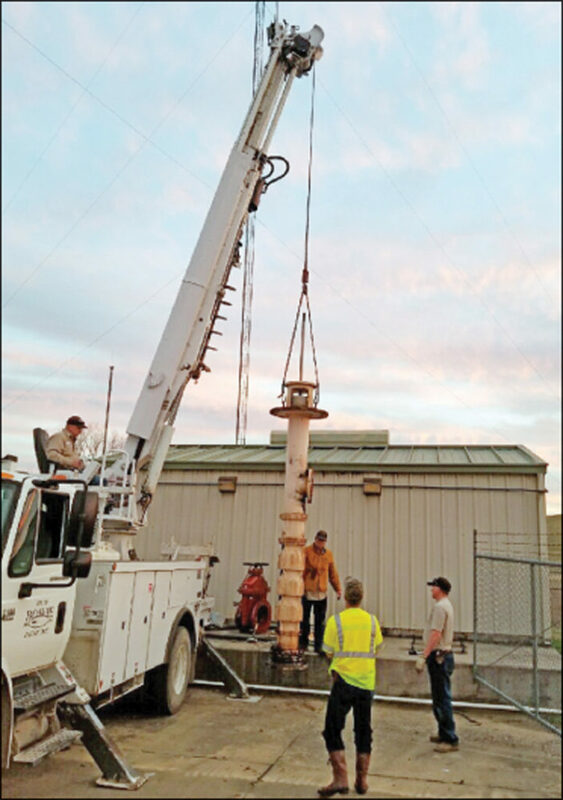 It was an all day project Monday as City of Bowie crews undertook the big task of pulling one of two large vertical turbo pumps located at the raw water pump station at Lake Amon G. Carter. Public Works Director Dean Grant said they were having a problem with the valve not shutting off properly, but adds at 24 years old, the pump is in great shape. It is being sent off for full maintenance, which will take about six weeks. There are two pumps at the station and they anticipate no issues operating on one pump as water goes to a holding pond at the treatment plant before it is processed.